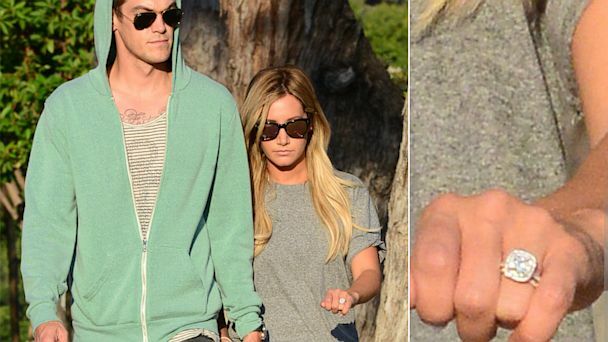 Ahsley Tisdale is engagement to Christopher French. 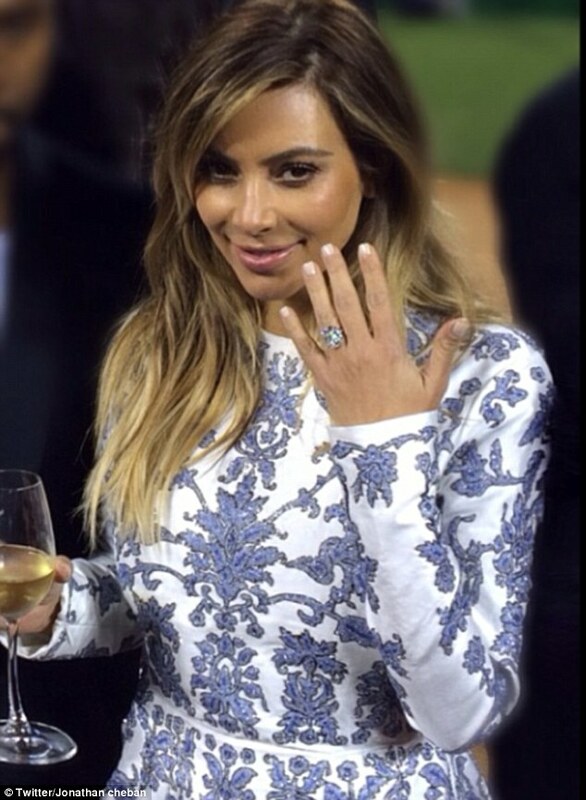 He proposed with a large square cut halo diamond engagement ring accented with pave diamonds. This entry was posted in Celebrity Diamond Engagement Rings and tagged cushion halo diamond engagement ring, diamond engagement ring, tisdale diamond engagement ring on August 15, 2013 by blog1039. Well, we watched is for two seasons Tamra Barney of Orange County Housewives is officially engaged. Eddy proposed to Tamara with a cushion halo round brilliant cut diamond engagement ring. This entry was posted in Celebrities, Celebrity Diamond Engagement Rings, Engagement Rings and tagged cushion halo, cushion halo diamond, diamond engagement ring, tamara barney on August 6, 2013 by blog1039. Slade was recently proposed to by E House wives Gretchen Rossi. She proposed to him with a titanium and black diamond double row eternity ring. 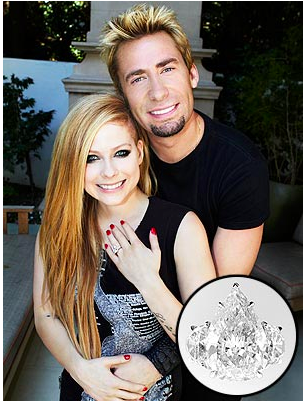 This entry was posted in Celebrities, Celebrity Diamond Engagement Rings and tagged black diamond ring, black engagement ring, mens black diamond ring, slade smiley on August 1, 2013 by blog1039. Kelly Osbourne, E Fashion host, is engaged to Matthew Mosshart. Matthew and Kelly met at Kate Moss’s 2011 wedding. The 28 year old, Kelly Osbourne, accepted the proposal while on vacation in Anguilla. 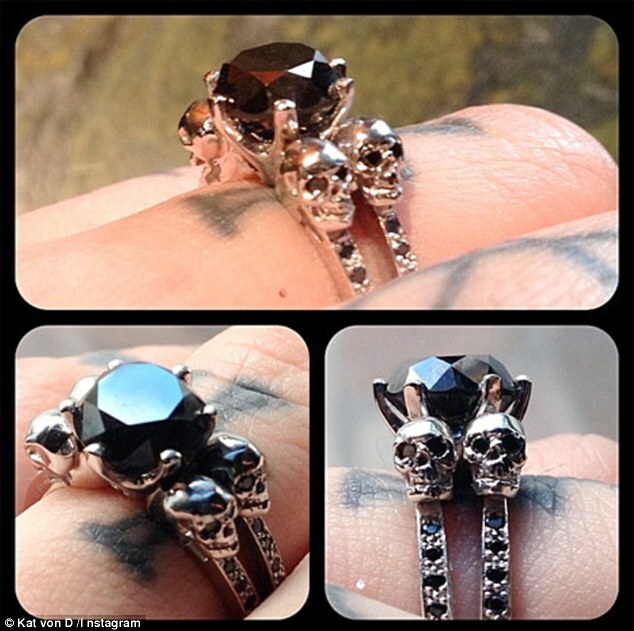 This entry was posted in Celebrity Diamond Engagement Rings and tagged kelly osbourne, matthew mosshart, osbourne engagement on July 17, 2013 by blog1039. 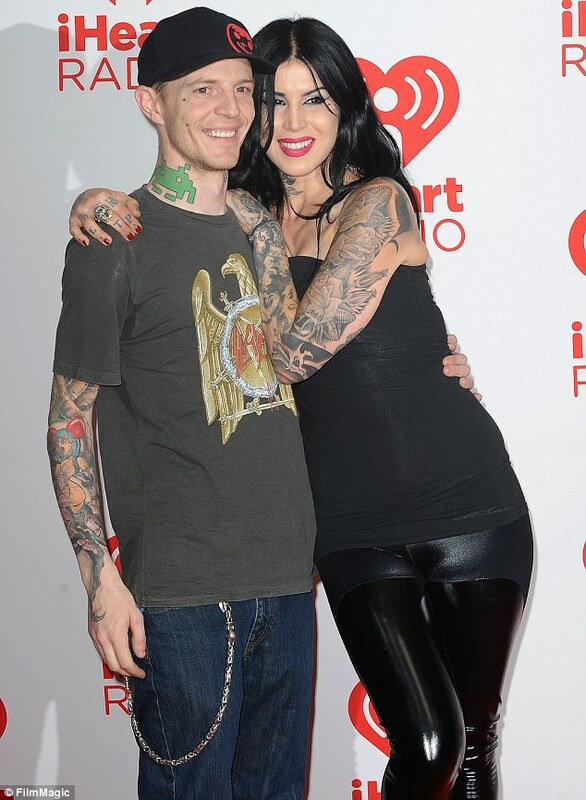 Joel Zimmerman proposed to Kat Von D the high profile tatoo artist. They’ve been on and off like a light switch but the proposal with this custom platinum skull white and black diamond engagement ring screams commitment. Kat, 30, promptly tweeted in response: ‘Mi corazon! Thank you all for the lovely congratulations! Please excuse me while I go squeeze the hell out of my fiance! This entry was posted in Celebrity Diamond Engagement Rings and tagged black diamond, black diamond engagement ring, black diamond ring, diamond engagement ring, engagement ring on July 14, 2013 by blog1039.